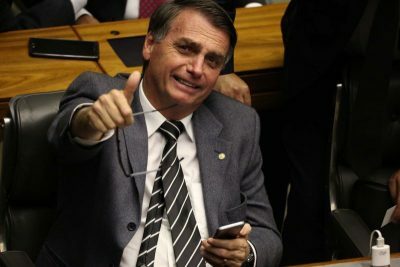 “Not even the military dictatorship defended an ideology which is so openly fascist like Bolsonaro does today. He does not care about being compared to Hitler,” – Michael Löwy. Not surprisingly, the nation is living a vertiginous growing of violence of the eve of the second round of the election. In June of 2013, Brazil lived its social “Spring”: another sociological “enigma”: hardly explained up to date, it was very similar to others all over the world whose multitudes did not know exactly why, how and to what they suddenly took to the streets (as teleSUR showed interviewing Brazilian citizens at the time). Movements which have produced around the world, cooperated by the mainstream media – locally and internationally distorting facts, or not putting news in context: the minimization of the rule of law hurting civil liberties, increasing repression, corruption, and foreign influence. Filled with hate, resentment, discrimination, and violence including by State forces, sometimes infiltrated among people: even those protests, an important part to overthrow the then-President Dilma Rousseff three years later and to boost Bolsonaro, were a consequence of dark winds blowing from the offshore against the South-American giant. 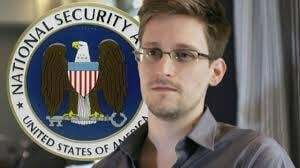 In the Information Age, there is no international conspiracy that both Julian Assuage and Edward Snowden cannot bring to light. In July of 2013, less than a month after the “Brazilian Spring” had started, the national paper O Globo published a series of reports denouncing US espionage directed against Brazil. Quoting Edward Snowden, the former CIA employee, Brazil was the Latin American country most spied upon in the 2000’s, leading up to the impeachment of Dilma. Largely promoted by fake profiles on Facebook, these protests were the result of foreign support and influence, In this regard, the movements which have led t massive protests in the last years, such as Movimento Brasil Livre (Free Brazil Movement) and Vem pra Rua (Take to the Streets), are funded by US billionaires. Fear of democracy [“He (Adolf Hitler) was a great strategist: annihilated his enemies as everyone does at was; I would have enlisted in Hitler’s Army”). Though the Brazilian culture is deeply colonized, elitist and reactionary, deeply discriminatory (Brazil was the last American country to abolish slavery) which, of course, favors authoritarianism in politics and in social relations in general, there is not any phenomenon to be sociologically understood from the many coups against democracy in the South-American country; the most recent assassin puppet terrifying the Brazilian long nightmare is called Jair Bolsonaro, who saluted the U.S. flag in a travel to that country in October of 2017. None of this can be understood without considering the international scenario, neither fundamentally helped by Assange and Snowden.